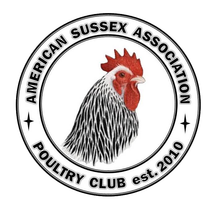 The American Sussex Association has partnered with Spreadshirt to power our official online store. 15% of all sales generated via Spreadshirt go directly to the association to help us promote the Sussex Breed. Spreadshirt handles processing, customer service, payment and shipment of all items. <>The products in this online shop are printed by Spreadshirt, the platform to make your own t-shirts and other personalized accessories.